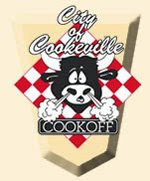 Team Ulika has entered the 19th Annual Cookeville Cookoff scheduled for September 5-6. This is the first year for Ulika to participate in this event, and we are really looking forward to competing again. The Cookeville contest is put on by former KCBS president Tony Stone, and takes place in the downtown square. This may be our last cook of the year due to some busy fall schedules, but we might squeeze another one in before '09. Good Luck - Hope to see you at Gallatin. Good luck boys, I'll see you next year (hopefully) as things may work out for me to compete next year. Let me know what you all will be doing and I'll try to get a spot next to you guys.